ARMCHAIR BOOGIE is a 4-piece Bluegrass/Folk band formed in the heart of Central Wisconsin. Conceived and brought to life by Ben Majeska (guitar/vocals) and Augie Dougherty (banjo/vocals) in the Fall of 2014. Their Main Street porch performances in Stevens Point, WI, made up their first venue, and soon took on the name “Armchair Boogie”. The only thing missing was a rhythm section to drive the genre-bending sound. Eli Frieders (bass) and Dan Waterman (drums) held down the beat until Denzel Connor took over behind the kit in Spring 2017. Summer, 2017 marked a transition to the Madison area which is currently home base. 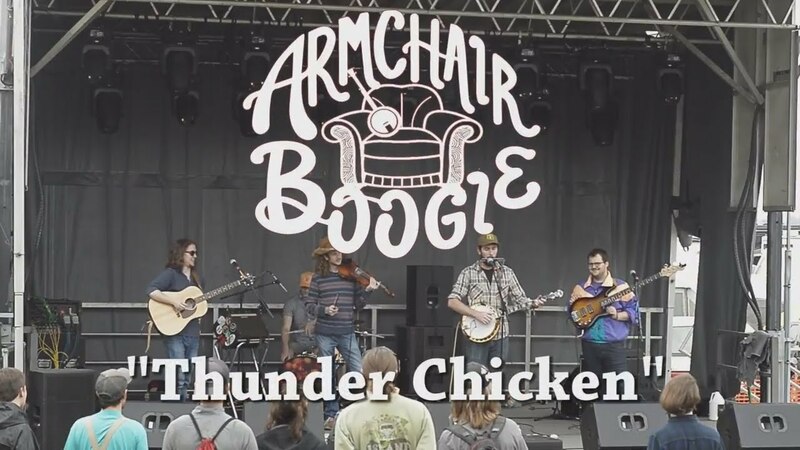 Armchair Boogie released their debut self-titled album in the spring of 2018 and continue to create, collaborate, and promote their funky brand of bluegrass across the Midwest and beyond.